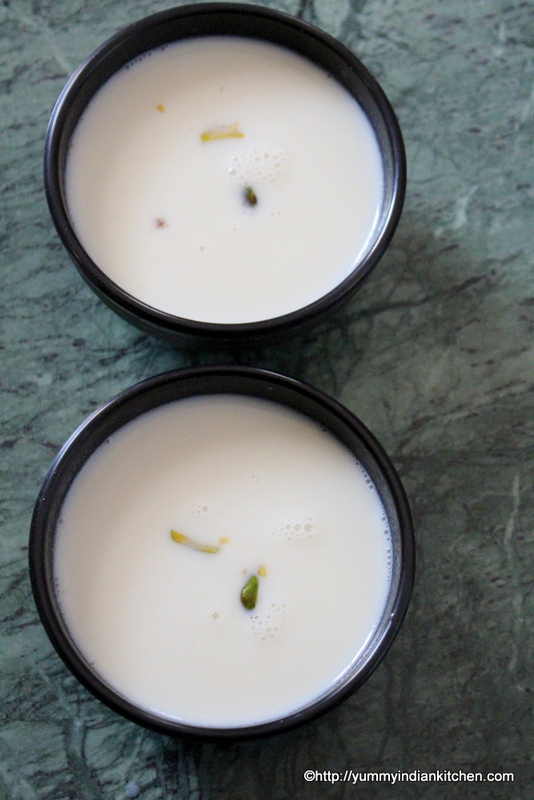 Phirni is a traditional dessert recipe made using full fat milk and rice flour. 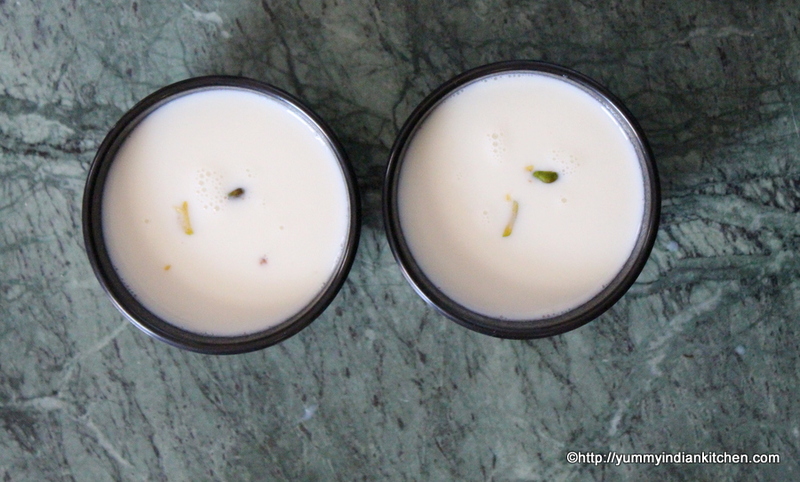 It is a creamy milky dessert or drink best when served chilled. This can also be called as a kheer recipe with few ingredients. It is served by topping with chopped dry fruits such as kaju, badam, pista or can be simply served plain and yet it tastes yum. India is quite popular for desserts and snacks and this dessert is just mind blowing with a delicious taste of milk, khoya, sugar and rice flour. Phirni is basically a simple hyderabadi kheer recipe where rice is soaked, strained, sun dried, powdered and added to the reduced milk and sugar. To enhance and give a very rich taste khoya too is added. This is quite a popular hyderabadi delicacy served with pooris here. This can also be made as a special dessert during the month of ramadan to break open the fast. It tastes best when served chilled but can also be served hot. There are so many kheer recipes that I would love to upload as I continue blogging and this is my first kheer or phirni recipe shared on the blog. Below are the directions on how to make this yummy delicious phirni or sometimes spelled as firni. A simple few ingredient dessert recipe made by using milk and rice flour commonly called as phirni all across India. Firstly, wash the basmati rice, soak the rice for about 30 minutes, strain the rice, dry the rice completely on a muslin cloth and make a powder of the dried rice and set aside for further use. In a non stick sauce pan, add milk and bring it to a boil. Keep stirring the milk for 5-10 minutes and reduce the quantity of the milk. Into it add rice flour and keep stirring while adding the rice flour. Keep stirring and cook the rice for about 20 minutes. Add sugar and keep stirring for another 5 minutes. 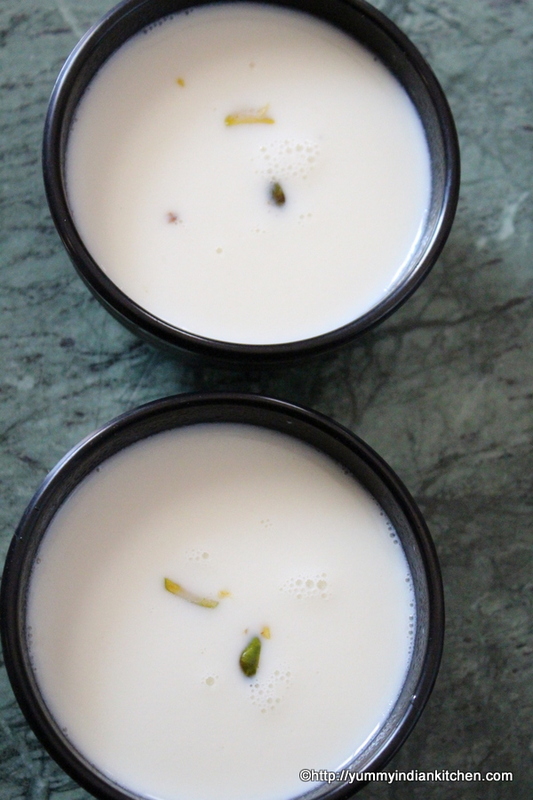 Lastly add some khoya mixed with milk(mix the khoya with some milk and make a paste without lumps). Add elaichi powder, mix and cook everything on low flame by stirring for 5 minutes. Garnish with sliced almonds, kaju and pista. Serve hot or chilled in dessert bowls. 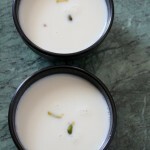 Phirni tastes good if chilled in refrigerator and served by topping with chopped dry fruits. It can also be served hot.